Having just returned from The Noelanders Trophy, visiting friend’s gardens and sharing some great stories it’s hard to imagine a better weekend for a bonsai artist to experience. Arriving mid day on Friday it soon became clear that this event would indeed be the best ever, in terms of quality of trees, organisation and enthusiasm for the art. It is strange but the amount of ‘Brits’ at the Trophy appears to be getting larger every year, great to see Kevin Willson, John Armitage, Simon Temblett, Simon Jones all showing trees, and Steve Tolley harping back to “Tony two trees!” does he not know that I now have three! (You are so 1990’s Mr. Tolley) … And some of the Brits coming away with nominations despite tough competition from the rest of Europe with Simon Temblett winning two awards and the tree that I presented for David Barlow also securing two awards, the “Sonderpreise” awarded by Bonsai-Museum Düsseldorf being dedicated exclusively to European trees, in particular when they are cultivated in a very naturally and typical “European”-way/style… its a nice feeling knowing that I have helped a great guy like David secure YET ANOTHER award for this wonderful bonsai. 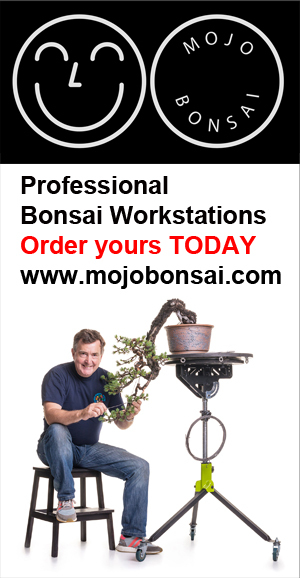 A full list and photos of the winners and can be seen on Bonsai Eejits blog. I will be posting lots of videos from The Noelanders Trophy throughout this week so keep coming back to see the next instalment.